Shadow people, hatman, sleep paralysis? Michael and Michael from the best Texas mystery/history/myths and legends podcast, the TX Files, discuss this odd phenomenon. Usually the Michaels keep their topics very Texas based, but while they are talking over for us, the branch out more into the weird that happenes EVERYWHERE! Are shadow people demons? Does one of the Michaels have a hatman experience? Is the hatman helpful? Is the only thing that helps you in a shadow people experience saying God's name? Will one of the Michaels join Tinder and offer card tricks? What does Christopher Walken's "Communion" have to do with sleep paralysis? Could shadow people be aliens? Donald Trump makes a guest appearance? Indians and shadow people? Find out all this an more as the TX Files... TRY TO EXPLAIN THE UNEXPLAINABLE! ================================= Links for the TX Files Podcast! Twitter: @TX_Files https://twitter.com/TX_Files Patreon Link: https://www.patreon.com/txfiles iTunes: https://itunes.apple.com/us/podcast/the-tx-files/id1153817822?mt=2 _______________________________________ Buy a Secret Transmission t-shirt to support the show! Send us an email or tweet us proof and we'll send you some 1.25" buttons! https://whatamaneuver.net/collections/secret-transmission-podcast Our show is available on iTunes, Stitcher, Google Play and YouTube! 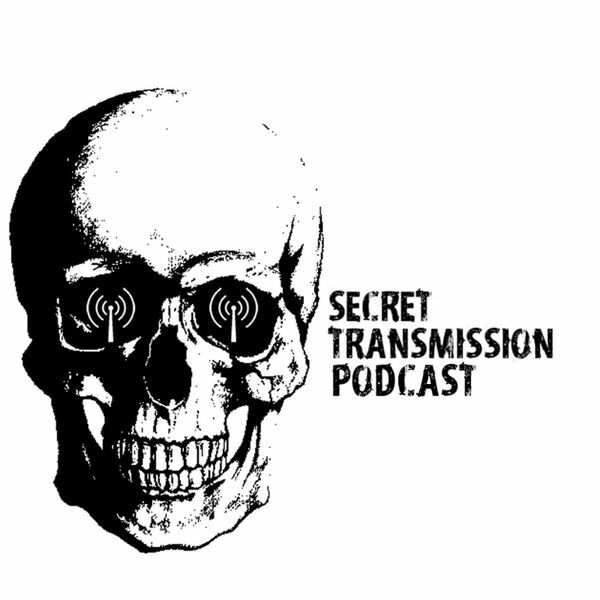 Just search for "Secret Transmission Podcast" Please subscribe, rate, and review! Twitter: @secrettranspod https://twitter.com/secrettranspod Instagram: @secrettranspod https://www.instagram.com/secrettranspod/ Facebook: https://www.facebook.com/SecretTransmissionPodcast/ Voicemail: (304)602-7444 Email: secrettransmission@hotmail.com Thank you for listening! We hope to return very soon!